In the 1980s and '90s, some soul veterans turned to high-tech urban contemporary sounds in an effort to appeal to black radio. 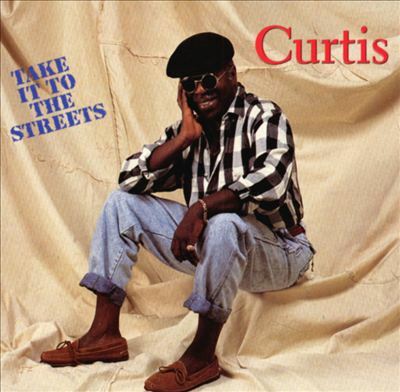 Curtis Mayfield, however, continued to deliver rewarding albums by remaining true to himself and sticking with the type of classic soul approach that put him on the map. 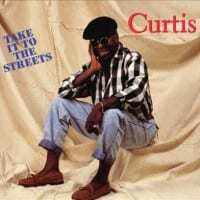 Take It to the Streets falls short of the unmitigated excellence of Superfly or Sweet Exorcist, but is a respectable effort demonstrating that he could still pack a punch as a vocalist, composer, and producer. 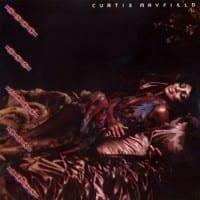 There's much to savor and admire here, including "Homeless" (which makes it clear that Mayfield hadn't lost his touch when it came to biting sociopolitical commentary), "He's a Fly Guy," the charismatic "Who Was That Lady," and an engaging remake of "On and On" (a gem he wrote for Gladys Knight & the Pips in 1973). With the re-emergence of hard-hitting blaxploitation films in the late '80s, the gritty imagery of "I'm Gonna Get You Sucka" and the haunting "He's a Fly Guy" proved quite timely. While this material could have used some horns, Mayfield generally employs technology in a soulful way -- employing "real instruments" along with keyboards and drum machines, and never letting his production sound stiff, unnatural, or forced. Track Listing:1. In Your Arms Again (Shake It) – 4:24 2. This Love Is Sweet – 3:08 3….